I am so glad I joined the Splitcoast Christmas Card Challenge. It forces me away from the butterflies and flowers for a little while to make me focus a bit on getting a head start on Christmas. 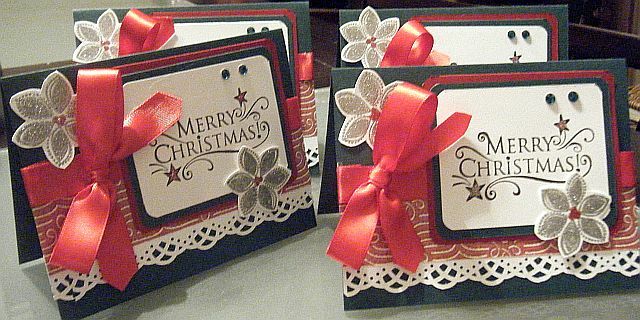 I made 5 of these cards so this completes my Christmas cards that I have committed to make for July. I used Stampin’ Up! Season of Joy for the silver flower and heated embossed it. The boarder punch is from Martha Stewart. 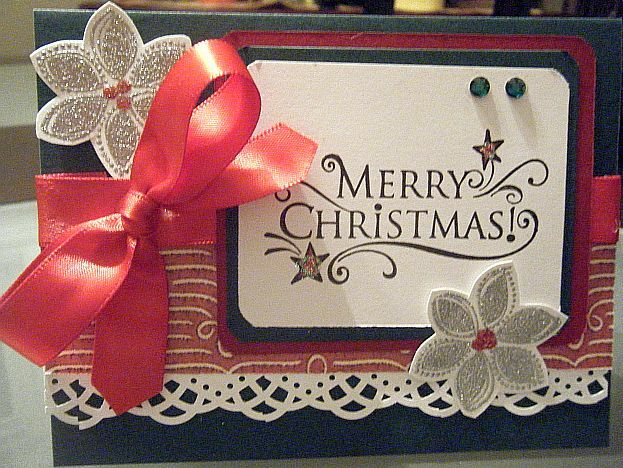 The sentiment is by Inkadinkado – Filigree Snowman. I love how this card turned out. I think I will make some more and switch up the colors.